On average, an American adult fills nine prescriptions annually, with people older than 65 averaging 20 prescriptions a year.Helping Patients Simplify and Safely Use Complex Prescription Regimens, Archives of Internal Medicine, February 2011. Unfortunately, about half of patients report being confused about how and when to take their medications, contributing to the 50 percent of patients with chronic conditions who stop taking their medications within the first year of diagnosis.Predictors of Adherence to Statins for Primary Prevention, Cardiovascular Drugs and Therapy, August 2007. Find out how the ScriptPath prescription management system works. 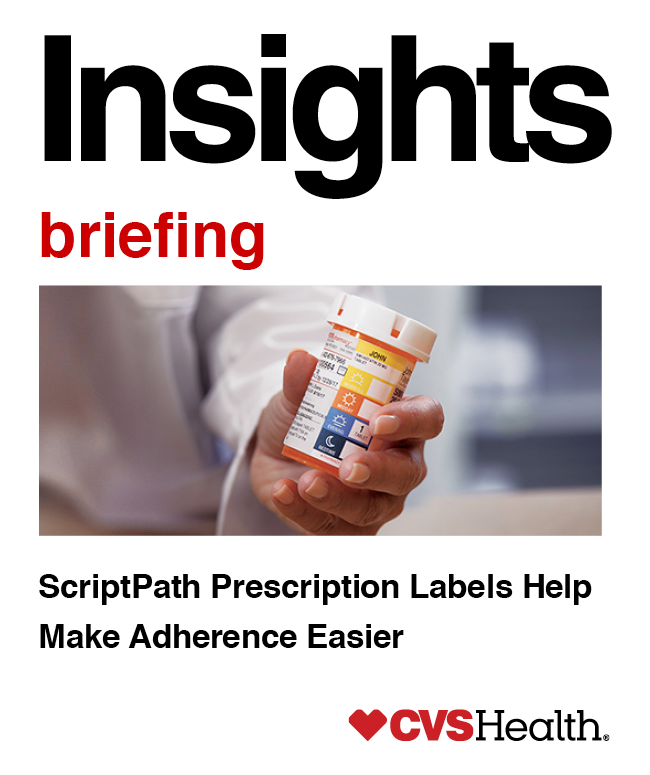 To address this issue, CVS Health developed the ScriptPath prescription management system to help patients understand and manage their medications, improve the effectiveness of their medication regimens, and drive better patient safety and outcomes. The first component of the system, the ScriptPath Prescription Schedule was introduced in autumn 2017. The system will expand this spring with the rollout of new prescription labels and prescription bag overviews. The prescription schedule, new labels, and bag tags use the same colorful, visually appealing, and easy-to-understand icons, which were developed for ScriptPath with designer Deborah Adler. 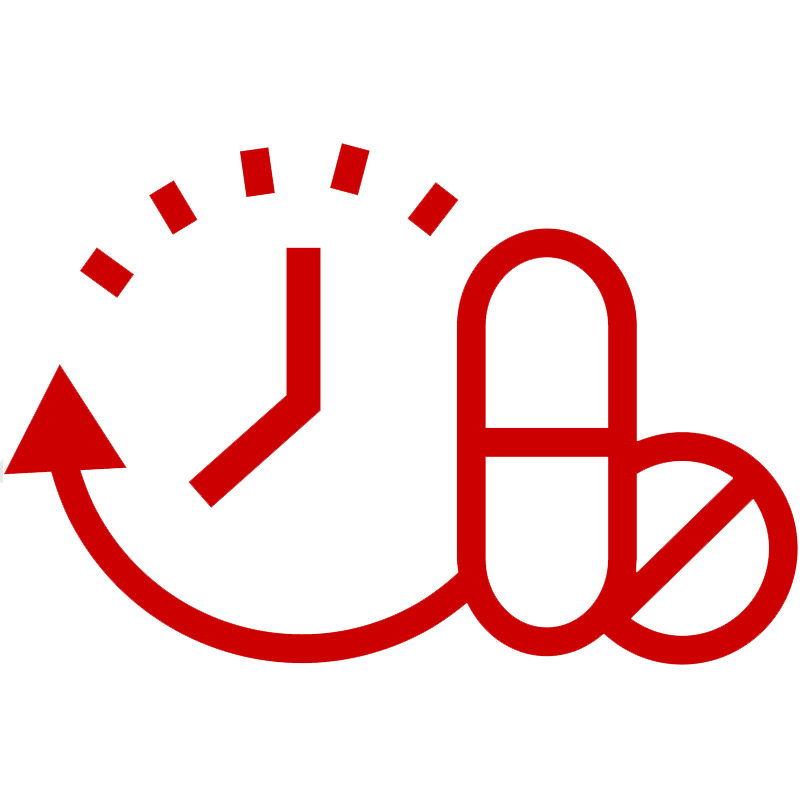 The icons are used to communicate what time of day medications should be taken — morning, midday, evening and bedtime. The ScriptPath prescription schedule provides a consolidated view of a patient’s current CVS Pharmacy prescriptions conveniently grouped into a recommended dosing schedule. The schedule also accounts for medications prescribed to be taken on an ‘as needed’ basis. CVS Health’s proprietary clinical engine, a robust scientific system, generates the dosing schedule for each individual patient, after reviewing all of their current CVS Pharmacy prescription information and prescribers’ instructions. Recommended dosing times are based on the most effective times of day for the medications to be taken. All system components are designed to help reduce medication errors and improve patient safety by, for example, specifying which drugs can be taken simultaneously. The ScriptPath prescription schedule is available in English and Spanish and is appropriate for a range of literacy levels. It is now available on-demand at all CVS Pharmacies. Because it is especially valuable for individuals taking multiple prescriptions, patients taking more than five medications per day are offered a consultation with the pharmacist when they pick up their prescriptions. During the consultation, the pharmacist reviews the prescription schedule with the patient and answers any questions. ScriptPath has already received industry recognition. Today, the Pharmacy Benefit Management Institute (PBMI) awarded the prescription schedule the 2018 PBMI Excellence Award for Care Management. The awards recognize exceptional programs and strategies contributing to care management, cost containment, and quality improvement in drug benefits. Because cost can be a deterrent to filling a prescription, we work continuously to help reduce drug costs for our pharmacy benefit management clients and their members. In addition, we have made information about prescription costs available to members on the Caremark member portal and at the point of prescribing, enabling consideration of affordable options before the patient leaves the prescriber’s office or arrives at the pharmacy. All these solutions are intended to help make prescription therapy simpler, more convenient and more affordable. As a pharmacy innovation company, we consider working to solve the non-adherence problem integral to our purpose of helping people on their path to better health.